There are several ways of learning and development for language teachers. For example, you can read articles/chapters and research reports published in journals and books, critically understand the ideas there, and import them to your classroom teaching. You adopt and adapt the textbook ideas rather than picking them up and trying to implement them wholesale. You can also talk to your peer teachers, share teaching stories and experiences, or observe each other’s class and borrow some ideas from there. A third way, which I have recently been relying heavily on is a reflection of my own teaching, critically assessing what worked and what did not in my class, and focus on improving my teaching and tasks next semester. I taught an academic reading course to international students last year. In order to train myself in teaching reading lessons effectively, I took a second language reading course from a professor at the University of Hawaii at Manoa. This class had several mini-assignments that proved instrumental in bridging my academic knowledge with my teaching experience in Nepal. I will explain to you one of those mini-assignments here, which was called a ‘reading metaphor project’. I chose two metaphors during this semester. Metaphors are a useful way to compare the teacher’s roles and duties in a reading class. First, I compared a reading teacher with a tour guide. A tour guide shows ways to the tourists who otherwise would have a hard time to travel on their own. A guide shows ways to the visitors, takes to new places, explains the history and importance of those places, and also suggests other places to visit or stay. Then I thought this metaphor is too simplistic. Comparing a reading teacher with a tourist guide is very straightforward and gives more power to the teacher. When I believe in student-centered teaching, I thought I would need to find a metaphor that would minimize the role of the teacher. Then I compared a reading teacher with a ‘walking stick’. I remembered my childhood days and I remembered the tourists from different countries visiting our places inNepal. Everybody had a walking stick with them. Then I also remembered my reading class taught by my teacher. I also reflected on how I taught reading to my students. Obviously, there were differences in my and my teacher’s teaching styles and roles. However, a common thread I could think of was the role of a ‘facilitator’ or a ‘supporter’. A walking stick thus is a support; it does not walk in itself. Second language readers can take the support of the stick. Learning to read is a long journey. I compared reading journey with a trekking of several days. While trekking inNepalone has to climb up the hills through small trails and rarely through steps. There come plain and flat places as well. In case of those straight ways, the role of the walking stick is minimized or sometimes neutralized. Learners of reading are also similar. When there are difficult texts and words, there is a teacher to help the learners in some way: direct explanation of the meaning or teaching the students the reading strategies, for example. But when there are easier texts, the students can read on their own, teacher’s role is minimized. Writers in NeltaChoutari have discussed the need to be careful against lifting pedagogical ideas that have been proven effective in different contexts than our own without necessary appropriation, so the concept has floated here as well quite often. I hope that you will find this concrete activity valuable towards implementing the idea into practice. Such reflective practice is useful whether we are novice or experienced because reflection and critical assessment are important for any efficient language teacher. If you are a teacher educator, or a teacher trainer, please try this out in practice and respond to this post with your thoughts so the rest of will learn from actual practice. I am always eager to hear more. 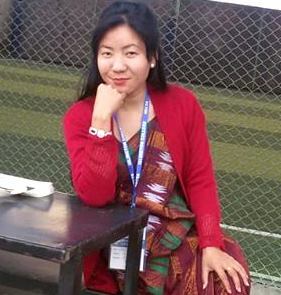 This experiential writing may really trigger the mind of NELTA Chautari. This is how a person can be reflective and share the ideas. We expect more experiences like this and many more in different aspects of language from the writer.